After all tourists left the platform and students came to wait for the train. I thought it’s the time for me to leave too. 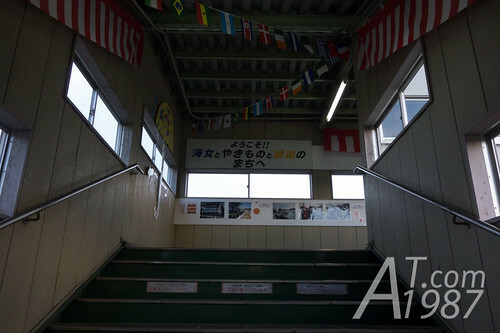 I went to an overpass to across the railway to the station building. I noticed the school uniform is look like the one in the drama. 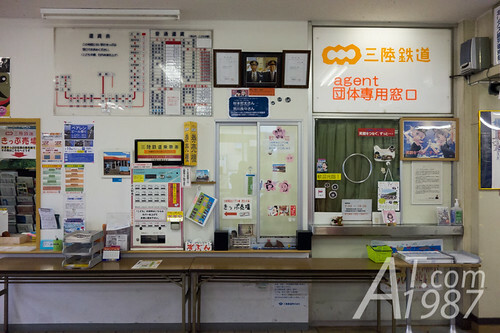 The welcome sign in overpass say ” Welcome to city of Ama (Female divers who collect sea urchins. ), pottery and amber. For drama fans. 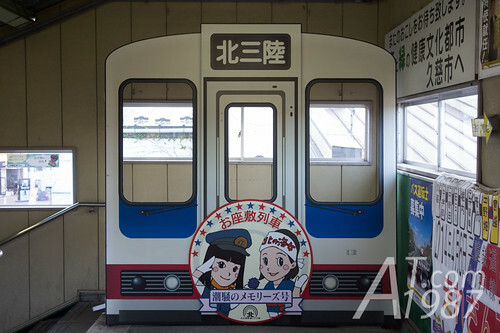 You will be excited when seeing behind the scene photos of Tanohata, Horinai and Kuji Station along the overpass. 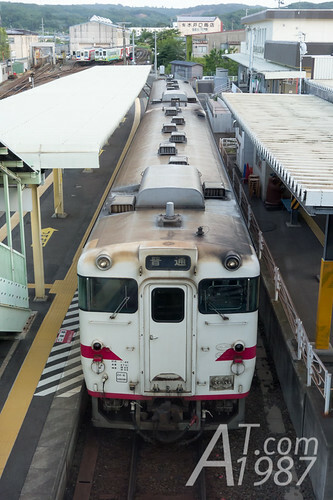 KiHa 40 DMU of JR Hachinohe Line. 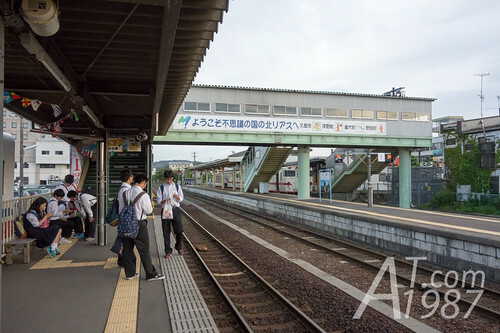 On the far left is a Santetsu’s train garage. 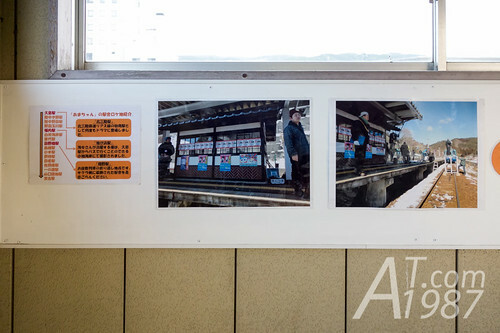 There was a Kitasanriku photo standee at the end of overpass. Walked down from the overpass. 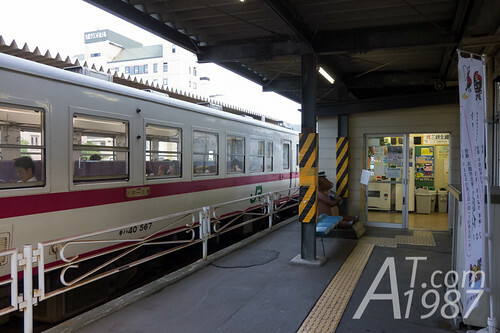 You will see a Santetsu station gate. 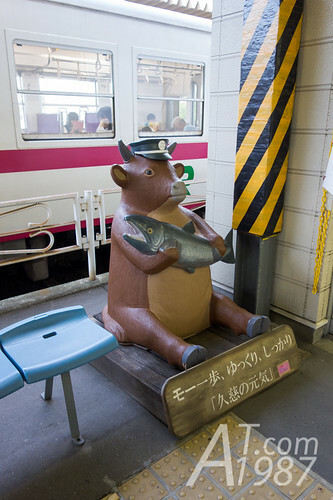 There is a animal sculpture like other Santetsu stations. When I went inside. 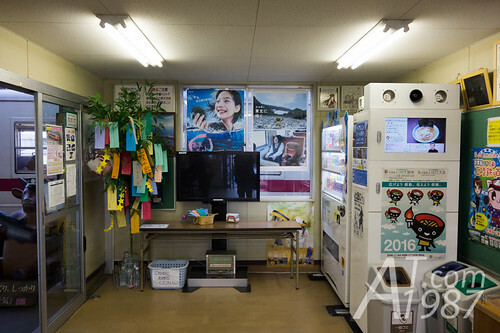 I met a beverage vending machine and drama posters. 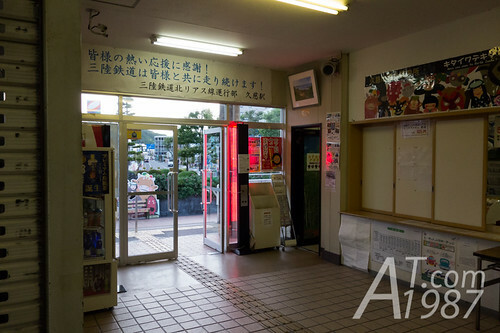 A ticket office was closed but tickets can be bought at a vending machine. 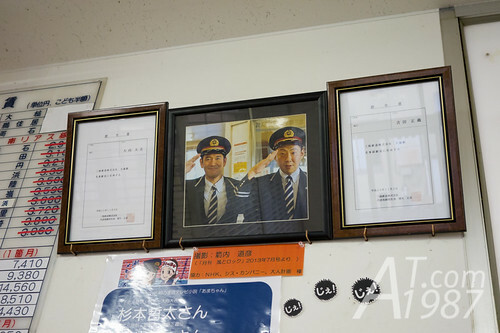 The station master appointment letters of Amachan’s characters Oomukai Daikichi and Yoshida Masayoshi were hanged on the wall of ticket office. 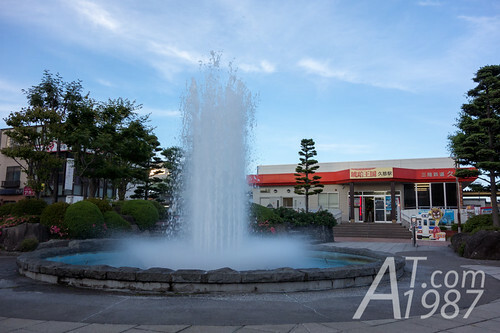 Next to the ticket office is Kuji travel information center. It had already closed too. Let’s go seeing outside the station. Thanks for sharing ^^ .